Everton Ladies continue to boast one of the richest histories in the women’s game. Beginning life as Hoylake WFC in 1983, the club became Leasowe Pacific after merging with Dolphins YC, and rose to prominence after capturing their first title in 1988 after lifting the North West League. The same year, the club reached it’s first FA Women’s Cup final, losing to Doncaster Rovers Belles. However, just a year later, Pacific went one better, beating Friends of Fulham 3-2 to win their first FA Cup. By 1991/92 Pacific had won the regional league five years in a row, and when the regular national competition was expanded the season after, they were admitted to Division One North - and promptly finished top to join the FA Women's Premier League. 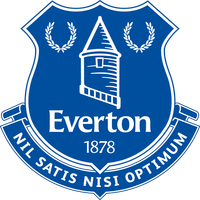 The club took on the current name of Everton Ladies Football Club in 1995. Two years later, the Blues reached the final of the Premier League Cup, but lost out to Millwall Lionesses. However, Everton were crowned National Premier League champions the following year. Another League Cup appearance followed in 1999 but Arsenal proved too strong, while Charlton Athletic edged the Blues in the final of the FA Women’s Cup in 2005. By this time, Everton were under the guidance of former captain Mo Marley, who took over in 2002, and success was soon to follow. In 2007, Everton finished runners-up in the Premier League and therefore qualified for Europe. The Ladies' first foray into UEFA competition saw them win their opening game against local Lithuanian side Gintra 4–0. They won further group games against Glentoran and Zulwil without conceding and scoring 20 goals in the process. The campaign was to end in disappointment at the second group stage. Despite beating Icelandic side Valur 3–1 in their final group game, Everton only finished third and failed to progress into the quarterfinals. The Ladies continued to push Arsenal hard in the league – for three straight seasons they finished in second place. In 2009, a point was all that was needed in the final game against the Gunners to pip them to the title – but a 1-0 success saw them lift the title. Nevertheless, a return to Europe beckoned in the rebranded Champions League. After sailing through their group, a disastrous first leg defeat to Norwegian side Røa cost them dear in the first knockout round as they were beaten 3-2. A measure of revenge was taken over the Gunners in the 2010 FA Women’s Cup final as Natasha Dowie struck the winner in a 3-2 success. Another second placed finish in the league the same year again brought a spot in the Champions League and Marley guided her side to the quarter finals, going out to German side Duisburg. In March 2011, Everton were one of eight clubs to found the FA Women’s Super League, and managed two third-placed finishes in their first two seasons. Following the end of the 2012 campaign, Marley stepped down to concentrate on her coaching role with England Under-19s, with assistant manager Andy Spence stepping up to take over. Spence guided Everton to the 2014 FA Women’s Cup final but again Arsenal would prove the Blues’ nemesis, earning a 2-0 win at Stadium:mk. Further disappointment would follow as the Ladies’ would suffer relegation to Women’s Super League 2. Everton finished third in their first season in the second tier but came within a whisker of gaining promotion a year later. A 3-2 defeat in the penultimate game against Bristol City did the damage, as both the Vixens and Yeovil Town just edged the Blues to the top two spots.